A fresh take on a Vietnamese classic. 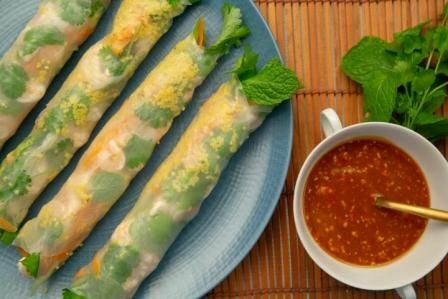 Rice paper rolls filled with prawns, avocado, couscous, loads of fresh herbs and satay sauce. To make the satay sauce - mix together all of the satay sauce ingredients in a bowl until smooth. Add a little water to loosen - set aside. Soak the rice paper according to packet instructions in a shallow bowl of cold water and then one by one start to make your rolls. 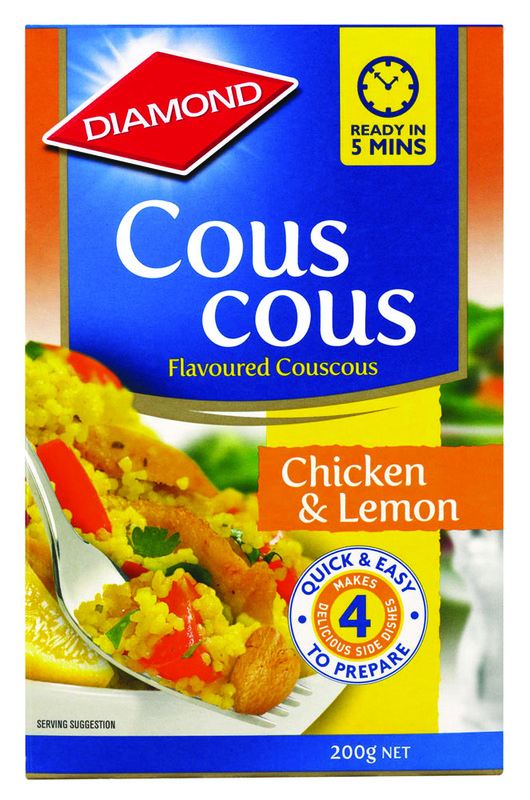 Lay one on a flat plate and place a narrow strip of couscous mixture down the middle of the rice paper. Top with prawns, avocado, carrots, cucumber, fresh herbs and a drizzle of satay sauce. Fold over one half and then carefully roll it up as tightly as you can. Repeat until you have used up all your paper and filling. Arrange them on a plate and serve with the remaining dipping sauce.